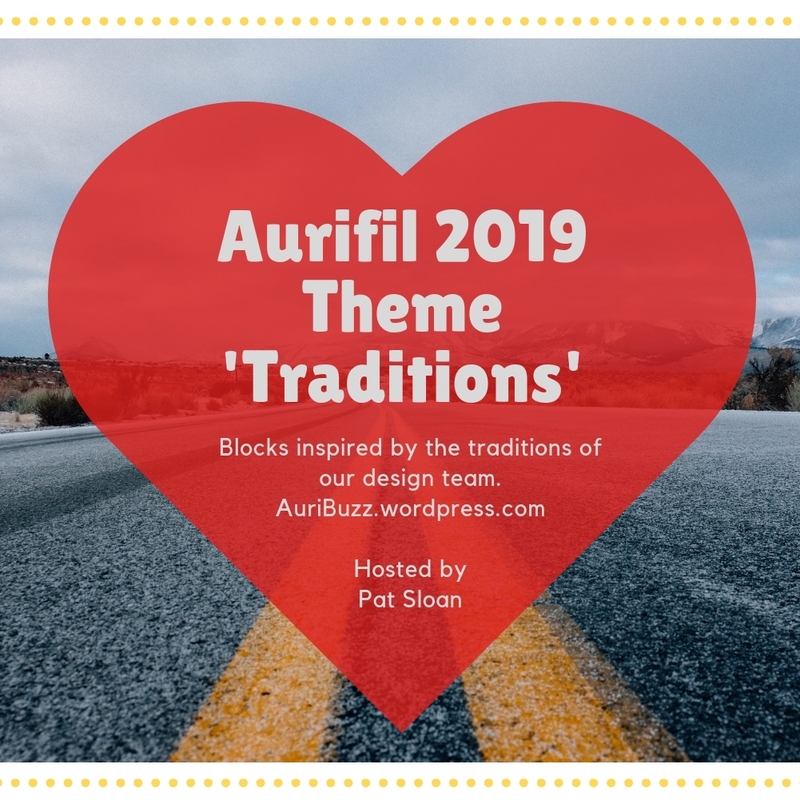 I am so excited to announce that I’m a part of the 2019 Aurifil Designer Block of the Month team! And even more exciting – I’m up first! 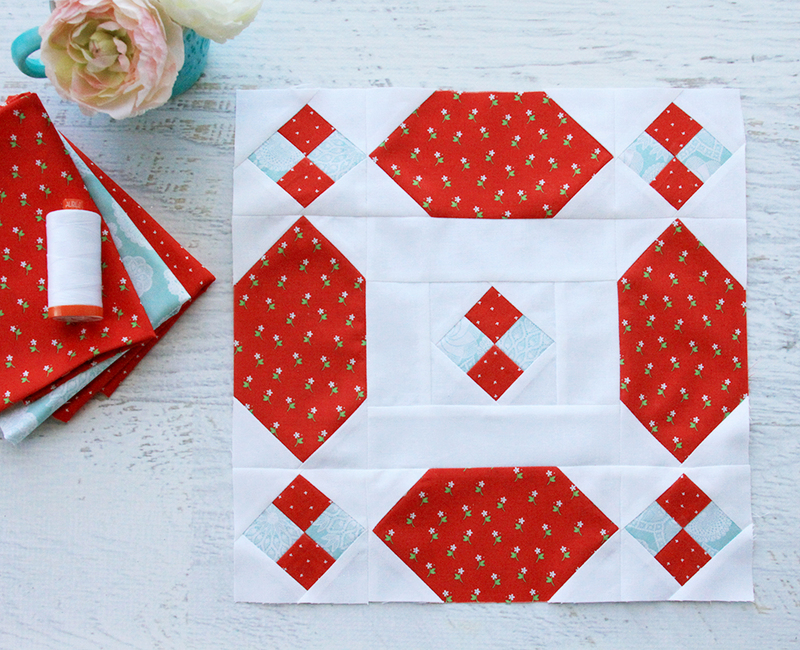 If you’re not familiar with the Aurifil Designer Block of the Month, every year Aurifil invites 12 designers to create a quilt block that is part of a theme. The super-amazing Pat Sloan coordinates the program and puts all the blocks together at the end for a creative finished quilt! This year the theme for the year is Traditions! Every designer is creating a block that is inspired by a tradition that is important to them. They specified that the blocks be mostly red and white with a splash of an accent color of our choice. The blocks are all 12 1/2″ unfinished. I can’t wait to see each month’s block! Take a look at the amazing team for this year! Seriously amazing talent right? I’m so thrilled to be a part of it! 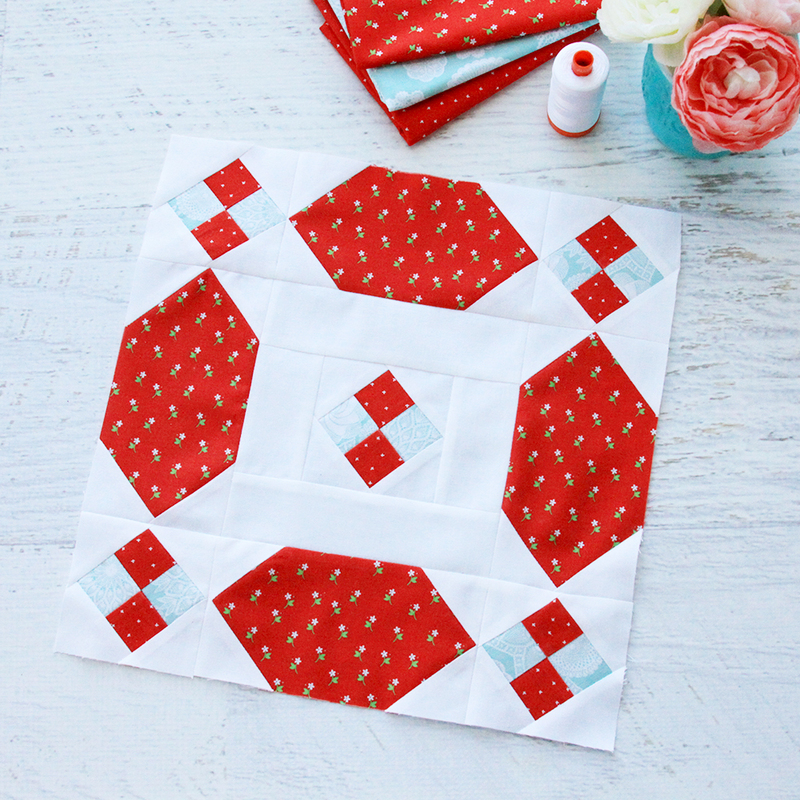 I created my block as an updated and pieced version of a wedding ring quilt block! I used Vintage Keepsakes for my block – I think the vintage inspiration for my newest collection goes perfectly with this year’s theme! You can click here to read all about my inspiration, my interview and download the pattern! Pat Sloan has also created a fabulous version of the block so you can see it in another colorway! Click here to see Pat’s version of the Updated Wedding Ring Block! 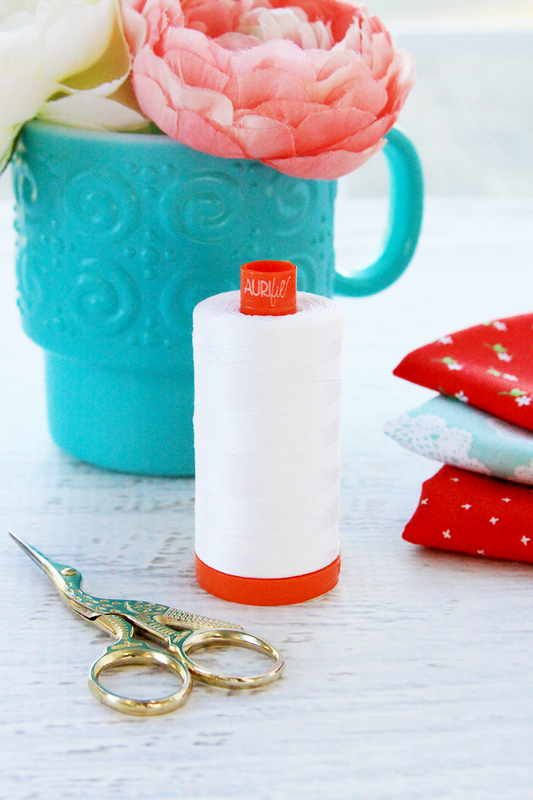 The patterns will be released on the 15th of every month so visit Aurifil to get each month’s pattern. I’ll be making each block too so I’ll be sharing those after the pattern comes out. This will be so fun! I’d love for you to sew along with us this year! « Vintage Keepsakes Fabric Collection! I just downloaded your block. 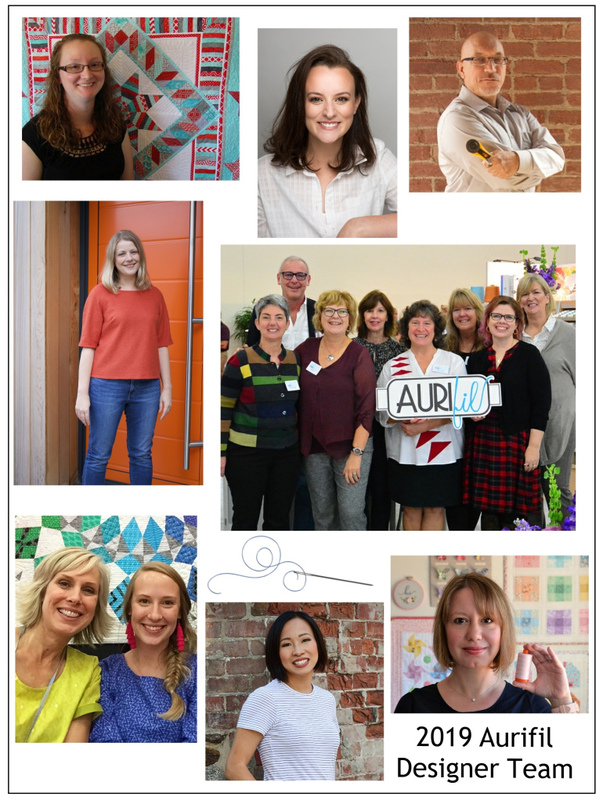 Congrats on being part of the Aurifil team! What a great honor! I cannot believe that I didn’t read about this through you since I follow you. I’m just thrilled that I did find the news and want you to know that I am rejoicing with you. I love double wedding ring quilts and I love this block and I love the fabrics from your collection. Congratulations to you for your Aurifil adventure!! Love your block! In your interview, there is a quilt thrown over a sofa that is a variation of a wedding ring pattern. Can you tell me what the name of the quilt is so I can find the pattern? I didn’t see it in your shop. Thanks. Congratulations. Your quilt block is great. The fabrics are beautiful also. Very nice pattern and Congrats on being part of the design team! Good for you Bev, of course they’d select you, they’d be crazy not to……your quilts are always amazing! Thanks for sharing on craft schooling Sunday! This block was a joy to sew! I love that it was so well thought out and had so little fabric waste! Thanks so much! !